The frantic effort to get the fire under control is ramping up... with help from across the country. 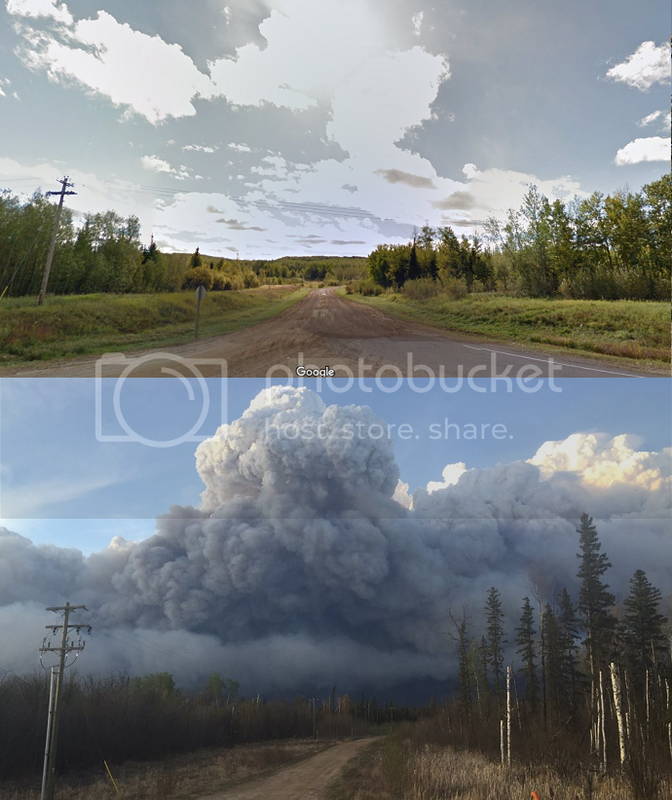 Sunday, May 8, 2016, 7:21 PM -	Firefighters continue to battle the flames of a massive wildfire that has burned part of Fort McMurray, Alta., and sent its 80,000 inhabitants fleeing to safety. The fire advanced quickly, and at last report had burned some 1,600 structures in parts of the city. 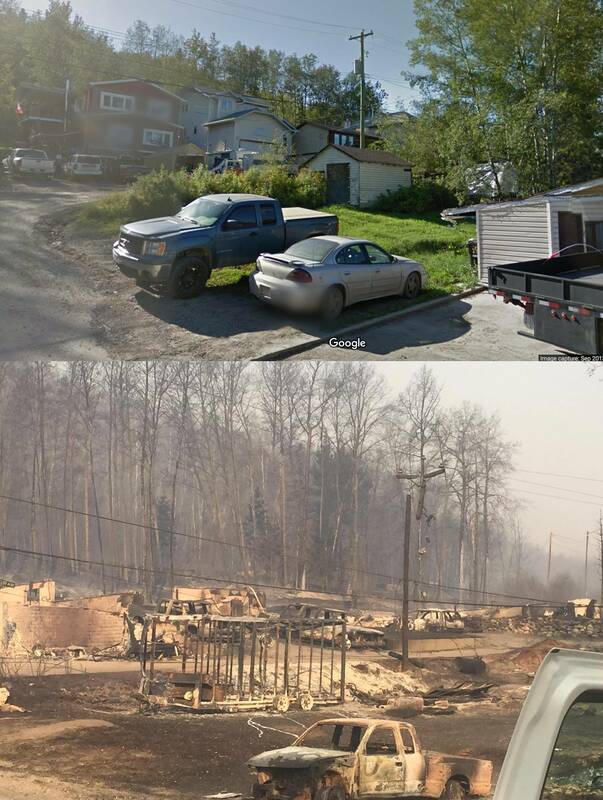 In some neighbourhoods, as many as 90 per cent of homes burned. 19 terrifying videos from the initial evacuation. 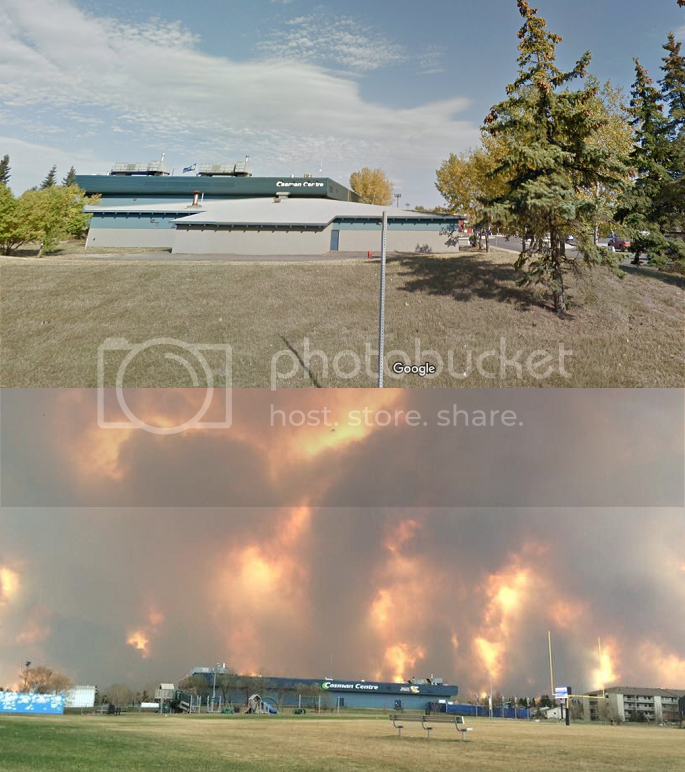 We took images of the Fort McMurray fire posted to social media and then used Google Maps Street View to try and get as close a view as possible of what those neighbourhoods looked like before the fire. The images aren't an exact comparison, but they do provide some perspective. 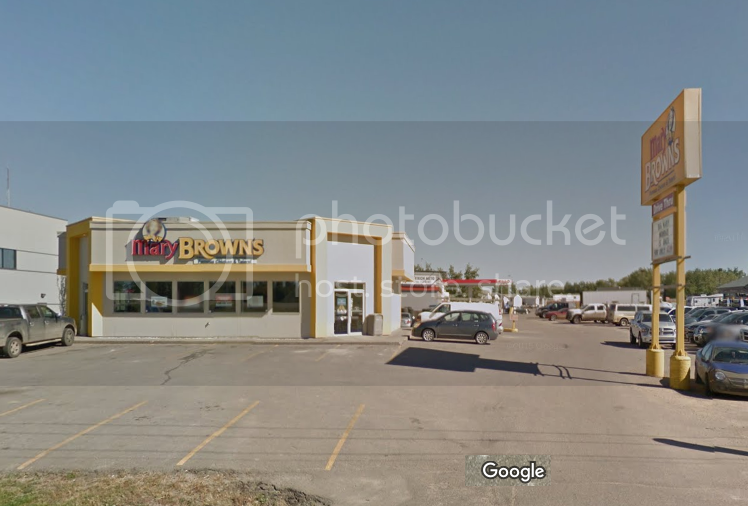 Before photo: Google street view. After photo: Twitter. 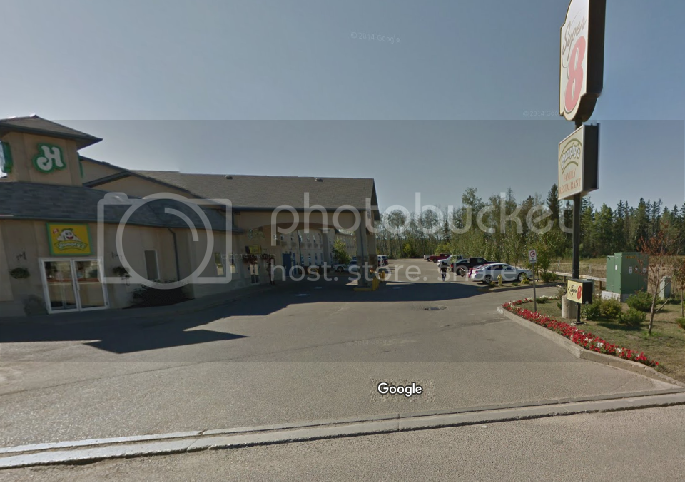 Before photo: Google street view. After photo: Deb Matejicka/Twitter.